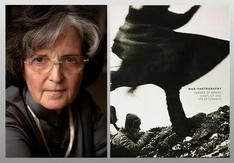 Ann Tucker will be speaking at Collin College on October 20, 2014 at 7pm at the Living Legends Conference Center, Section C. Tucker is the winner of the Time Curator of the Year Award and recipient of the Art Historian Life-time achievement. This entry was posted in Hear. Bookmark the permalink.